I’ve got a friend named Frank, who just LOVES shrimp. Whenever we go out to eat, he has to have it. And he’s always posting some shrimp meal or dish on his Facebook page. Frank, my shrimp-eating friend replied back by saying, “I don’t have this every day, probably 3-4x weekly. Besides, you only live once… you worry too much.” and then he proceeded to order a glass of beer. Now I’m stuck between two friends I’ve known for almost 20 years. However, the truth is the truth, let me share with you, what I basically told my friends. Yes, shrimp has a lot of cholesterol. A small 3 oz serving has about 200 mgs of cholesterol. On paper, that’s as much cholesterol as you need for ONE day, not counting all the other sources of food. 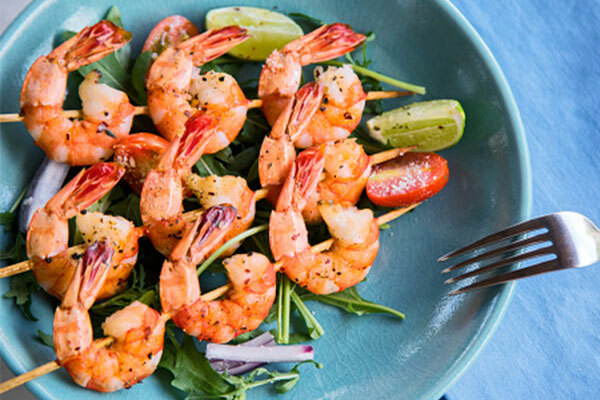 And yes, shrimp also raises your cholesterol levels – both total and LDL, the “bad” lipoprotein. However, it ALSO raises your “good” HDL1 and for some people, even more than the bad LDL … so the end result is a better ratio, which is the more important factor. So, depending on your genetics, eating shrimp isn’t going to be a problem for cholesterol… as long as you don’t overdo it. Now, I’ll come back to this cholesterol topic in a minute because there’s something else to add to it. The answer is, no. I never order it or buy it. If it’s at a party, I’ll have a couple of pieces one in a rare while, but the bottom line is — NO, I don’t eat shrimp. It’s not so much because of the cholesterol. Because I do have cholesterol in my diet. It’s important to do so, at least in some amounts and it varies from person to person. However, if I’m going to have a protein with cholesterol, I’d rather it be whole eggs. It has a lot more nutrients than shrimp and I prefer the taste. It’s also a better source of protein. 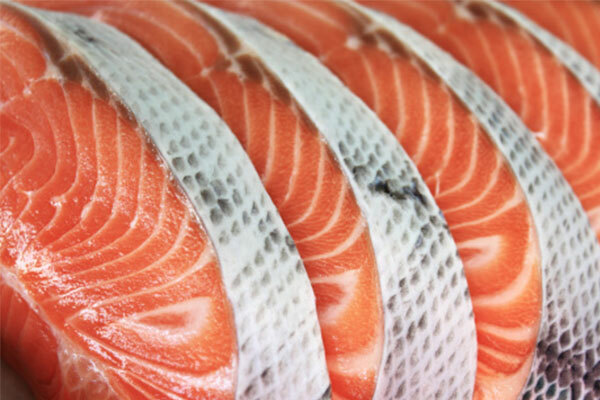 If I’m going to have seafood, I’d rather have wild-caught salmon. Again, I think it’s more nutritious and a far healthier source of protein and seafood than shrimp. I also like the taste of salmon better. Shrimp and other shellfish are “bottom feeders”. Basically, they eat “junk” at the bottom of the ocean. I know that this is a controversial topic, and there are healthy fish such as Sardines, which are also classified as “bottom feeders”. However, my personal preference is to not eat these bottom feeders – shrimp and other shellfish included. However, most importantly, shrimp is the most popular seafood in the US. Which also means that over 90% of it gets imported from other countries. Sadly, less than 2% gets inspected by the FDA and US regulatory agencies. What this means is that the shrimp is farm-raised in dirty and unhealthy conditions. They feed on unhealthy food. Imported shrimp, more than any other seafood, has been found to be contaminated with banned chemicals, pesticides, and antibiotics. So, these and a few other reasons are why I personally don’t have shrimp. But What About My Higher Cholesterol? Now, coming back to the cholesterol topic. IF you are concerned about having high cholesterol, have a family history of it, or taking a cholesterol-lowering drug — then I would reconsidering having Shrimp. Or limit it to once or twice weekly at the most. And make sure it’s wild caught, NOT farm-raised shrimp. And there are natural ways of lowering your cholesterol while improving your HDL/LDL ratios and triglycerides and other “heart health” markers. I’d like to share with you a natural formula that my own parents have been using since 1999, to lower their cholesterol by 30 pts in only 30 days. It’s clinically proven and something I would highly advise using, instead of toxic, cholesterol-lowering drugs. This is the exact problem I ran into with my own parents. Because of this, I needed to find a simple, easy and fast solution for lowering their bad cholesterol levels in less than 30 days, without the use of harmful prescription drugs or following a restrictive diet.